Elaine Sandra Nichols, 70, of Dubuque, Iowa passed away peacefully on Friday, August 31st, 2018 at Stonehill Care Center in Dubuque. Family and friends may gather from 4:00 p.m. to 7:00 p.m. on Tuesday, September 4th, 2018 at Leonard Funeral Home and Crematory, 2595 Rockdale Road, Dubuque. Burial will be in Sixteen Cemetery in Monona, Iowa. Elaine was born on January 23, 1948 in Waukon, IA the daughter of Clark and Vera (Hamm) Nichols. She attended school through 12th grade in Waterville, IA. Elaine worked for John Deere Dubuque Works. Elaine was loved by everyone who came into her life. She enjoyed spending time with her grandchildren and loved to read in her spare time. She had many fond memories of growing up on her parent’s farm with her siblings. Elaine’s faith played a big role in her life and helped her share love to everyone around her. She will be deeply missed. 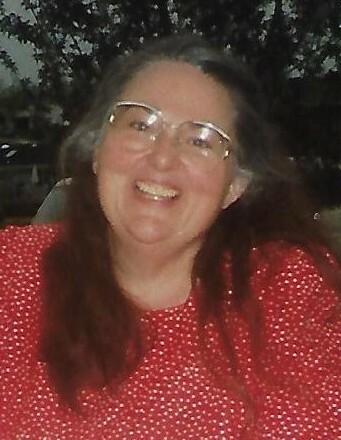 She is survived by her son Michael Nichols of Dubuque; three grandchildren, Andy Timmerman, and Amanda and Alisha Nichols; a sister, June Nichols of Waukon; and a brother Chad (Laura) Nichols of Dubuque along with many family members who loved her and will miss her. Elaine was preceded in death by her parents; her grandparents; and two sisters, Charlene Jones and Carol Nichols. The family of Elaine would like to thank the staff of the Intensive Care Unit at Mercy Medical Center, Stonehill Care Center and Dubuque Care Initiatives for the wonderful care they gave to Elaine.